Stan: [singing] There's a bunch of birds in the sky. And some deers just went running by. Q: How many profanities are said in this film? 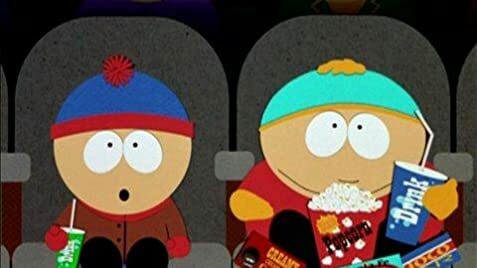 In the quiet little town of South Park Stan, Kyle, Cartman and Kenny bride a tramp to sneak them into an R screening of the new Terrance & Phillip movie. They emerge foul mouthed and with attitude as a result of the movie and, while repeating a stunt in the film, Kenny is killed and sent to Hell. Kyle's mother leads a movement against the Canadian comedians that results in their arrest and sentencing to death. Meanwhile in Hell, Satan and his lover Saddam Hussain prepare for the killing of Terrance & Phillip  the sign of the coming of the new time where Satan will rise again to rule the earth. 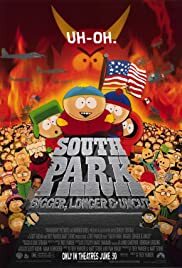 Can Stan, Kyle, Cartman and Kenny save the comedians, stop the censorship movement that blames society for bad behaviour and prevent Satan and Saddam from destroying the world? I suspect those that hate this movie are generally those who hate the TV show, where those who liked it may not be those who watch the show. 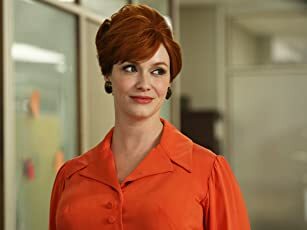 I'm a fan of the show but I not such a fan that I blind to the lack of consistency at times in the show  some episodes are dumb and lack wit, trading on swear words and forced jokes. However I fell in love with this movie from my first time seeing it. The film is funny in the same sort of silly juvenile way that the series is. It has the same strange sense of humour  witness Conan O'Brien having a `Judas' moment and throwing himself to his death! However on top on this it is imaginative. How many other crude films would do it as a musical. I'm not saying that this makes it more worthy than gross out comedies like American Pie etc, but it is cleverer. The musical element adds to the film and helps it's stretched running time. The songs are all catchy and are better than some of Lloyd-Webber's stuff! They are choreographed well and just feel funnier due to the situation and the lyrics! For example Satan's song `Up there' is excellent but hilarious because of who's singing it and the sentiments he's expressing! The irony of the film is not lost. The accusations levelled at the South Park Movie are those that the mothers in the film level at Terrance & Phillip. The story actually answers it's own critics while telling the story! It's not perfect and it does go a bit over the top and maybe begins to think that it is cleverer than it actually is. The voice work is as excellent as always and Parker and Stone carry this the whole way home. Guest stars add some interest but really all I need is Cartman et al and I'm set! Overall I am a South park fan and I really enjoyed this. Not just because of the elements of the show that are reproduced here but also how clever it feels (even if it isn't always as smart as it wants to be). This isn't a cheap TV spin off into a movie this is a film that is imaginative and funny. Haters of the show will hate this but this may win you over if you thought the TV show was juvenile and a waste of time. 83 of 92 people found this review helpful. Was this review helpful to you?